Skiing and Sightseeing at Oslo – Exploring Life.. The city of Oslo,capital of Norway, is nestled between the Oslofjord and hundreds of square miles of forested hills. We were excited about going there , because of it’s Ski resorts. Three of us went on our trip to Oslo in February, a very cold month in which temperatures drop up to -10 deg. Oslo greeted us well with snowfall.The rail tracks were white and were a sight to remember.The ride from Airport to the city center cost 90 NOK- 9 Euros and a 24 hr pass was also 90 NOK (9 Euros). We stayed at a house in Ekeberg Hageby. The lady who hosted us took us in warmly. She had two fluffy dogs and a beautiful house. We were sent to the kids sections since we were beginners. The ski resort was a big hill covered with snow having steep slopes for expert skiers to ski and a relatively flat part for people like us to try out. Because these are the most important things you need to know if you want to ski- Not to become a pro but to save yourself from any accidents. Speaking of baby steps we saw babies – yes 3 year old there practising Skiing. Really cute kids in the snow skiing ! Our morning skiing session was a disaster. We decided to take a break and sit in a café in the middle of the snowy hill. We relaxed for about an hour and continued for our afternoon session. Surprisingly we skied well this time.We were much more cautious and went slowly. We took videos of each other. We ended up being the last people to leave the field a 17:30. The slow ploughing machine came and levelled the snow. We rolled and played in the snow and went back home. It was delightful at home near the heaters. But we had severe body pains from Skiing. Your wrists, legs and back hurts a lot. We could hardly wake up in the morning. We did not have any itinerary in mind so we decided few places to visit and started our day. We walked from the central station to the castle. The roads in Oslo are terribly deserted. It feels like being in a horror movie with dried leaves on the snow, lonely houses, no one walking on the streets, sculptures in black ! Gives an eerie vibe. The fortress was beautiful. The building of Akershus Castle and Fortress was commenced in 1299 under king Håkon V. The medieval castle, which was completed in the 1300s, had a strategical location at the very end of the headland, and withstood a number of sieges throughout the ages. King Christian IV (1588-1648) had the castle modernised and converted into a renaissance castle and royal residence. It was guarded with canons on all sides. The view from the castle was spectacular. The building is situated in the Bjørvika neighborhood of central Oslo, at the head of the Oslofjord.It has a slanting roof on which people can walk on. Since it always snows at Oslo the whole building looks white and it is very exciting walking on the snowy roof looking over the city. Oslo is famous for its cutting edge architecture, diverse variety of apartment types. It is a fusion of contemporary and medieval styles. Norway has witnessed an architectural boom in recent years, which has seen a range of innovative and exciting projects pop up throughout the country. This has transformed the country into an architectural laboratory. Enough said. If you an intolerant to extremely cold climates better not to go in winter. We were living in Amsterdam where it is 3 deg to -3 deg so it was not a big deal for us to adjust in the cold. But if you are from a hot country then better be prepared. Wear four layers of clothing. 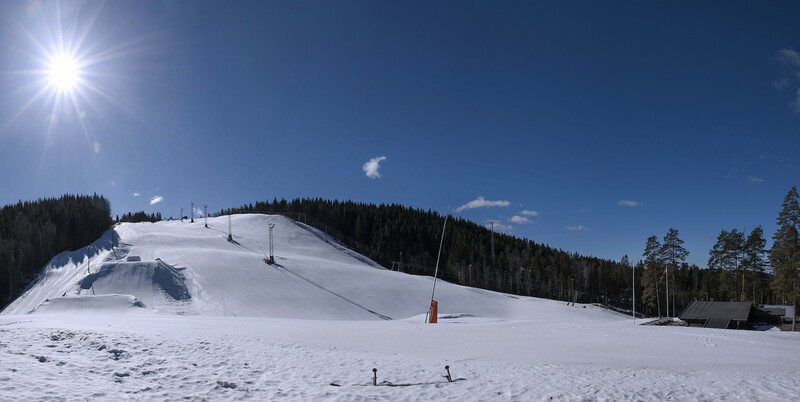 Skiing is something you must definitely try out in Oslo. It is a hobby for most people here. You can see people with Skiis in buses. Take a pair of Ski pants, Snow goggles and a thick glove(not the thin woollen glove) Water proof gloves. 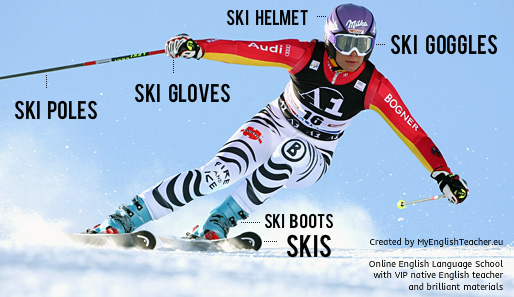 Because these wont be given by the ski equipment providers. Be in good shape for skiing because your body is going to ache a lot after it. Take a day pass and not just ski for 1 or 2 hours. Take a packet of chips or bread with you. We could not find a supermarket near the place we stayed because there were only houses till the horizon we could see and no one was out on streets to ask for help or directions especially if you are a vegetarian. Food is expensive in oslo. You can save a lot by cooking at the place where you are staying or bring packed food. We hardly spent 20 euros on food because our home stay had all the groceries needed. It’s a scarcely populated place. You will feel like you have all the place in this world. Chill and enjoy your time there. Play with the snow. The scenery is gorgeous with white bright snow everywhere and yellow wooden houses. It is a very romantic place to be in!